It is well-known that students feel more motivated when they are recognized for their effort and hard work, and as a result, they are more likely to be engaged in activities proposed by their professors and university. Thus, the question is: what is the best way for a university to acknowledge and promote student accomplishments and support students on their dreams at the same time? The answer is: SCHOLARSHIPS! Virginia International University has a history of supporting its students. Since it was founded, VIU has been awarding scholarships to full-time undergraduate and graduate students as a way to recognize students who have special talents, demonstrate academic excellence, or actively participate in on-campus activities. VIU has been offering different types of scholarships throughout the years, always expanding in order to benefit more students. Right now, there are seven types of scholarships which are available for eligible prospective and current students: fresh start (for transferring students); student activity (for students who are strongly engaged in on-campus activities); campus employment (for those students who work on campus); special achievement (for students who demonstrate a special talent); new horizon (for students who come from countries which face economic and political problems); and deans and presidential (for students with exceptional academic results). Scholarships are available for both on-campus and online students. Over the years, more and more students have been granted scholarships at VIU. When students receive scholarships, they tend to exceed their own expectations by putting more efforts into achieving their academic goals. And our students’ success is VIU’s success. For anyone considering a college degree from a school in the United States, the cost of tuition – and the means by which to pay tuition – is a primary concern. In our last issue, University Magazine examined the steady rise of the price tag on an American education. One of the best ways students can make college more affordable is by applying for financial aid in the form of scholarships and grants. Data available from the National Center for Education Statistics allows us to track financial aid trends over a number of years. In 2011-12, 59.1% of undergraduate students in the US received financial aid in the form of scholarships or grants. The average amount those students received was $6,200. In the same year, 37.7% of graduate students in the US received aid in the form of scholarships or grants. The average amount received by those students was $10,800. When compared with data collected about a decade ago, we see that the trend for this type of financial aid is improving, both in the percentage of students receiving aid and the amount of aid students are receiving. Paying for the rising cost of tuition will continue to be a concern for students attending colleges and universities in the United States, at least in the foreseeable future. While tuition assistance in the form of scholarships and grants has increased, it is not always rising quickly enough to match the astonishing speed at which tuition prices are increasing. However, statistics show there has been an increase in institutional grants to students. This is good news for American students, of course, but it is also good news for international students who may not have the same access to federal aid as US citizens. Scholarships are and will continue to be important to college students, especially in light of rising tuition costs. It is clear that scholarships are out there for the taking, but competition is fierce. A great source for identifying scholarship opportunities is your school; find out if your institution offers grants or scholarships, especially if you are an international student! • There are search sites which pull scholarships from many sources. Find a site that you like and create an account! 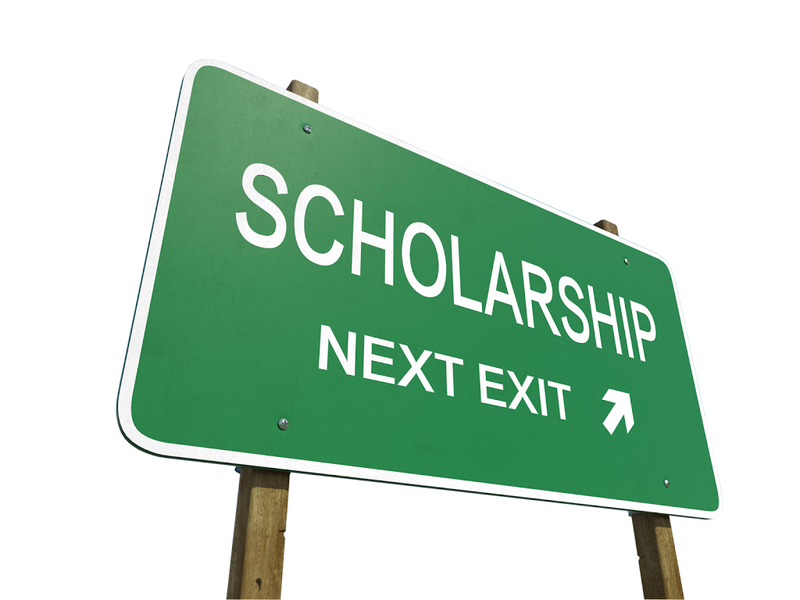 Check back often for new and updated scholarships. • Find out what department is responsible for scholarships at your school and become familiar with the scholarship offerings, requirements, and deadlines. • Never pay to apply for a scholarship. If you are asked to pay a fee in order to apply, it’s probably a scam! • Find your niche and maximize on it; you would be surprised what types of scholarships are out there. What are your scholastic interests? What are your hobbies? Do you have a unique family situation? Have you overcome an obstacle? Use your experiences to your advantage! • Do not procrastinate when you’re working on a scholarship application. Build plenty of time into your schedule to complete applications, write and revise essays, and meet deadlines! • Don’t give up! If you don’t receive one scholarship, keep trying for others. Never considering myself an “A” student, I always struggled with academics. However, since coming to VIU, the supportive learning environment has consistently inspired me to regain interest in learning, which has reflected in my recent academic successes. My professors were generous enough to write some excellent recommendations for me and my past experiences certainly did pay off by adding much needed credentials for the selection committee to consider. Receiving this scholarship has boosted my confidence to a whole new level and motivated me to continue to strive for excellence in the future. I must also mention that VIU has given considerable attention to providing financial support for international students whereas many other well known institutions surprisingly do not have such facilities. It came to me as a pleasant surprise when I realized that I was one of the proud recipients selected for the Special Achievement scholarship this year. As this was my first semester at VIU, I really did not expect to be awarded a scholarship. As an international student I have gone through lots of challenges, one of them being financial challenges. This scholarship has really helped me by reducing some of the pressure. Moreover, this is the first time studying and staying outside of my country and I was expecting it to be tough. But with VIU, the transition has been very smooth, as I have been helped by the university at every step. Everyone has been a great support to me.